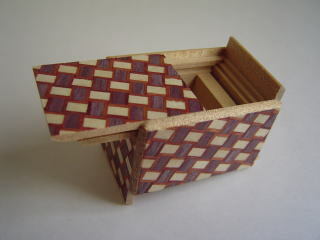 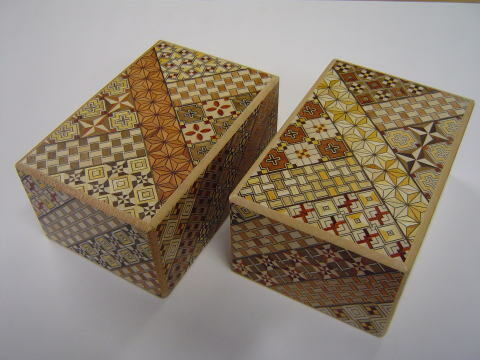 This tiny Japanese puzzle box will open with 14 steps. 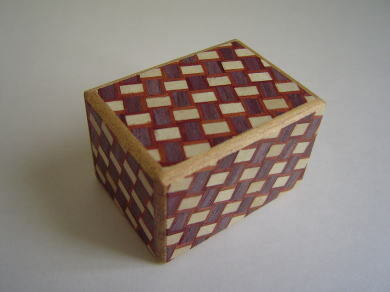 The pattern name of yosegi-zaiku is Kuzushi yosegi. 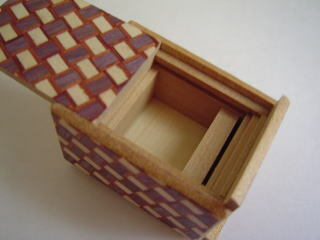 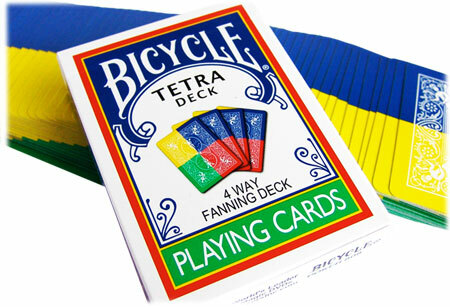 The woods used for this box are Katura(main), Mizuki, Rengus, Purple Heart.